Think You Don't Need a REALTOR Website? Despite unbelievable growth in the internet some surveys still show that a number of REALTORS® and Real Estate Offices have yet to setup a website. As more and more of todays consumers are becoming computer savvy it has become expected that a business has a website; not having at least a minimal digital presence could end up costing you your share of this competitive market. Top 3 Reasons You Need a Dedicated Website: 1. Level the playing field. 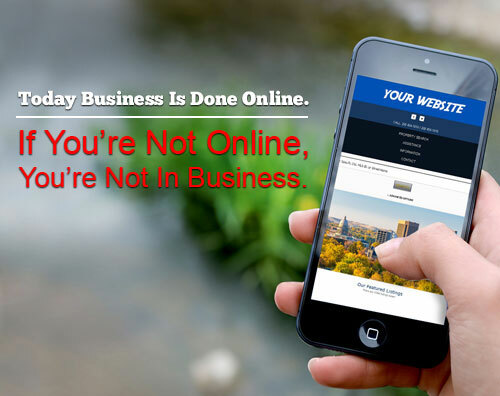 Online websites are treated the same, whether they are owned by a huge fortune 500 company or Farmer Joe up the street. Everyone gets the same amount of screen space to get their message out and generate business – what matters is how well you make use of that space. Believe it or not a well designed, properly marketed website that cost a few hundred dollars can very much out-perform a poorly designed website that cost several thousand dollars. 2. Better Customer Service. A REALTOR® website from TourRE makes it possible to provide instantly viewable information, news, and specials for your customer base. Websites and social profiles are also a great way to gain feedback from your customers and prospective customers. No traditional method ever created will allow you to interact and connect with your potential clients the way a live website will. 3. Affordable. Effective. For about the cost of a one time print advertisement you could have a REALTOR website online showcasing your listings and service 24/7! If your website generates one lead that converts into a sale you've just paid for the website for over a year! Not to mention a website will also allow you to reach a larger audience than traditional, local advertising. As standard as business cards and yellow page ads were in previous decades, so are websites in todays market. To find the business you need for your company you must be online and your website needs to be well designed, and marketed to be effective for you. Tour Real Estate provides the best REALTOR websites online today, our system is built to put YOU in control of your content and web presence, and our customer service simply can not be beat! Ready to get serious about real estate and move more houses? Contact us!